It's been a few months since I visited the last Queens County Market back in May at the Queens County Farm, which was a lot of fun. Continuing to look forward to this event, I appreciate the innovative locales Katrina, the market's founder and organizer comes up with to keep things interesting. 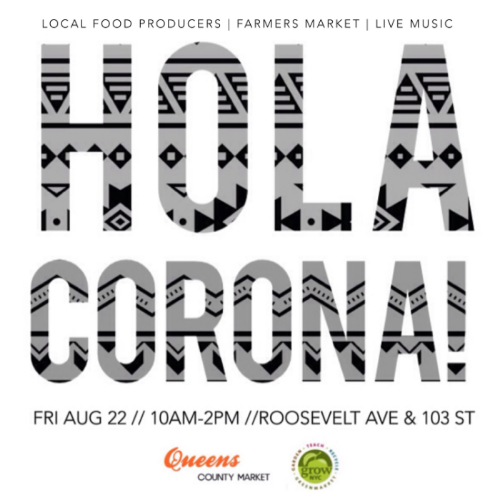 This month, I'm excited to see the market branch out into a new neighborhood in Queens, which is Corona. I think this area is extra relevant this month, as the U.S. Open is going on exactly at this time and for this reason, the neighborhood is more populated than usual. Friday, August 22nd from 10:00 a.m. - 2 p.m.